The lightweight, nimble handling, attractively styled the 2017 BMW G 310 R will naturally appeal to novice riders. Superb build quality with clean welds on the tubular-steel frame, quality castings, precise fit of every plastic body panel and extensive use of allen-head fasteners. 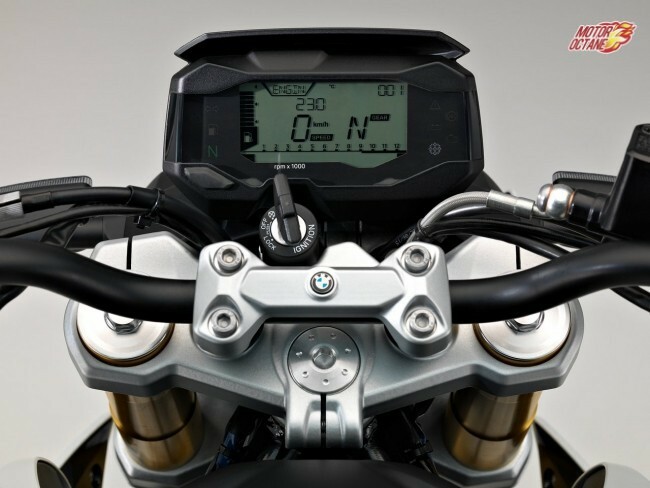 Same for the view from the saddle: A full-feature LCD dash including bar graph tachometer, gear indicator, shift light, trip computer functions, and more, greet the rider. 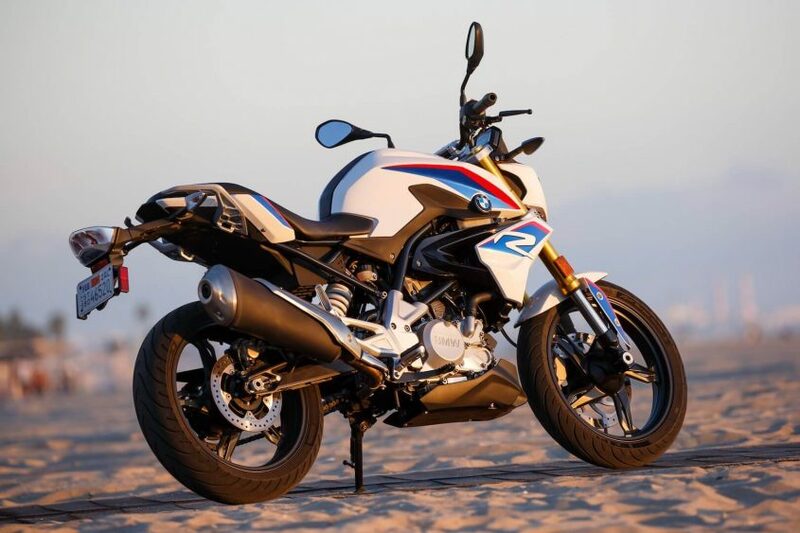 Handlebar switchgear is topnotch, the grips and bar end weights would be at home on an S1000R, an inset BMW logo atop the bar mount and radial dimpled steering stem nut cap the upscale presentation. 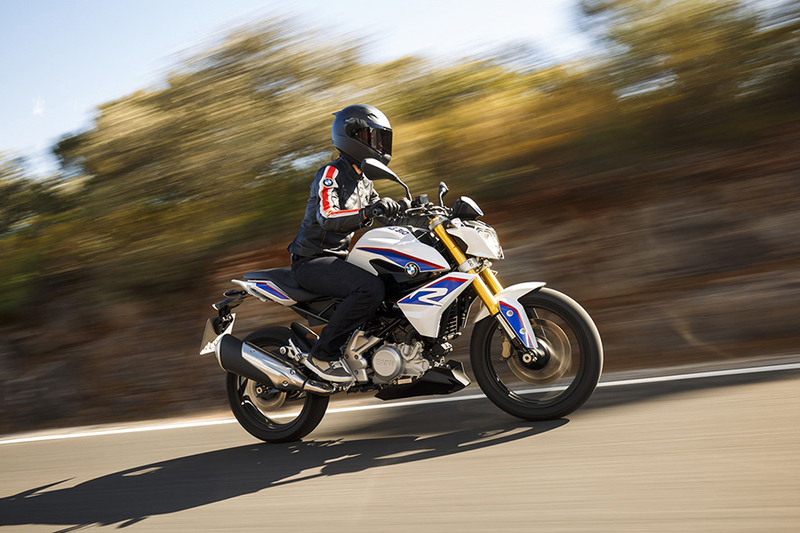 The G 310 Râ€™s novice-friendly 30.9-inch seat height and ease at which its 313cc liquid-cooled, four-valve single moves us away from traffic lights. 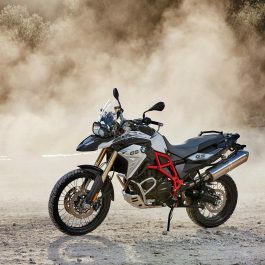 Clutch pull is light with linear engagement that, combined with a hint of throttle, provides consistent, smooth, stall-free leaves from stops. 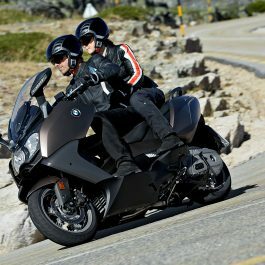 Maintaining revs between 3000 and 6000 rpm provides ample torque and low vibration for a relaxed run up through the light-shifting, short-throw six-speed gearbox. 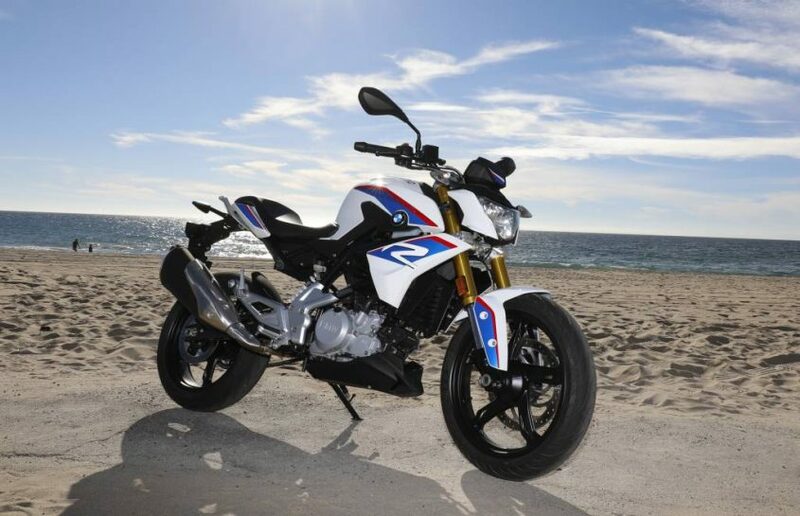 Cable-operated, the fuel injection provides crisp response with an intuitive sense of control. Pin it at low revs and a subtle hit in delivery can be felt at 6000 rpm with power continuing to build linearly to the 10,600-rpm rev limiter. 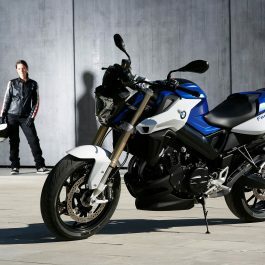 The peak output of 34 horsepower at 9500 rpm is easily capable of keeping up with fast lane Freeway flow. 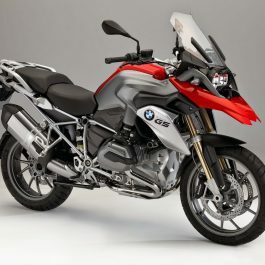 The engineâ€™s unique configuration with its rear-canted cylinder and aft facing exhaust port allows a more forward placement in the frame and increased swingarm length for an optimized 50/50 weight distribution. 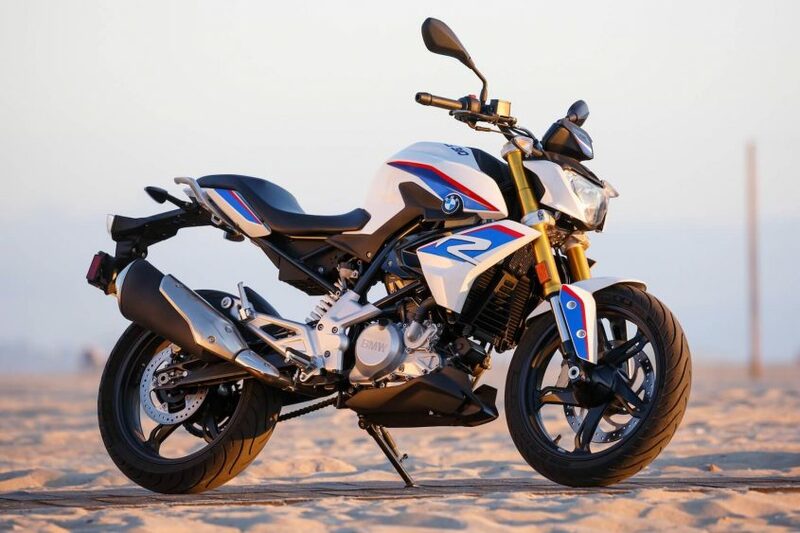 The BMW G310 R has abundant cornering clearance and decent grip from its Michelin Pilot Street radials. Steering is neutral and telepathically light in effort. The KYB suspension soaks up rough patches while having enough spring and damping control to keep the chassis settled when aggressively flicking through side-to-side transitions or hammering the brakes. 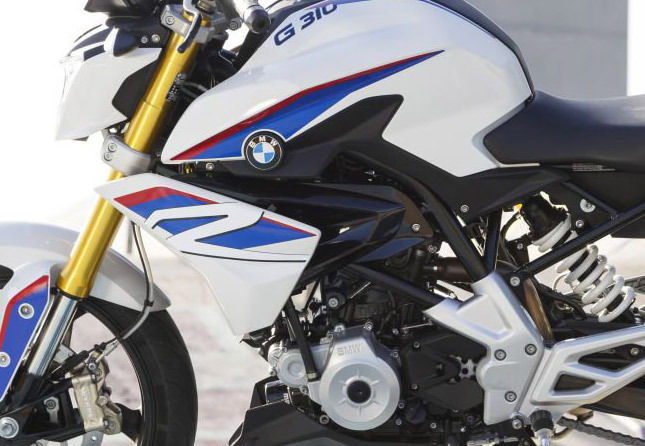 ABS comes standard on the G 310 R and works very well on damp roads assisted by he single 300mm rotor/radial mount four-pot caliper combination up front. 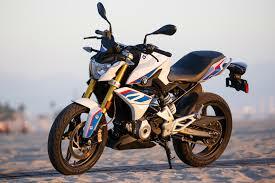 Be the first to review “BMW G310 R” Click here to cancel reply.